Crystal has invited travellers to connect to the world, each other and themselves with an evocative new marketing campaign titled Where Luxury is Personal. Emerging from an almost four-week dry dock in Bremerhaven, Germany, Crystal Serenity has welcomed the first travellers aboard after its most extensive refurbishment ever. Crystal has shared exterior renderings of its new Diamond Class ships, with the first ship set to join the fleet in 2022. 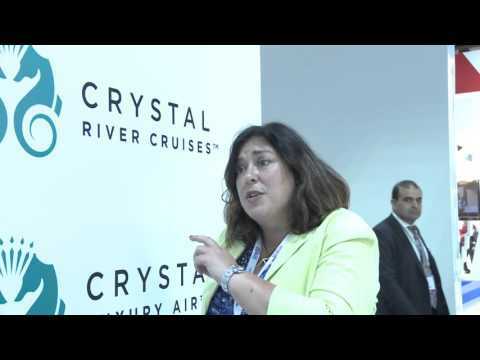 Crystal River Cruises has announced that Hungarian producer Mariann Peller will be the godmother of Crystal Ravel, the company’s fourth new Rhine Class ship. Born in Budapest, Peller is renowned for creating the hit Hungarian television show Virtuosos, the world’s first classical music talent show. Crystal River Cruises has officially welcomed its newest ship to the fleet, as Crystal Debussy was christened in Amsterdam. 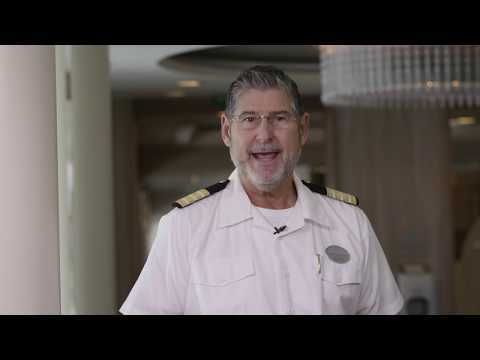 Crystal Cruises has announced details and revealed images of the most extensive redesign in Crystal Serenity’s history during a press briefing at Seatrade Cruise Global in Fort Lauderdale. Crystal has marked an important construction milestone in Crystal Yacht Expedition Cruises’ expansion, as it cut the first piece of steel for Crystal Endeavor at Mv Werften shipyard in Stralsund, Germany. Genting Hong Kong has announced the appointment of travel industry veteran Tom Wolber as the president and chief executive of Crystal Cruises. In a rare endeavour, Crystal Serenity has embarked on a 32-night journey through the Northwest Passage, the Arctic region north of Canada that was unattainable until just 100 years ago. Following more than three years of planning and preparation, Crystal’s vessel welcomed nearly 1,000 intrepid guests aboard in Seward, Alaska. Together with the SS United States Conservancy, Crystal Cruises today announced it will save the “America’s Flagship”, the SS United States, and embark on the enormous undertaking of bringing the ship into compliance with the latest standards, and returning her to oceangoing service. During the announcement, made today at a press conference at the Manhattan Cruise Terminal in New York City, Crystal also committed to covering all costs associated with preserving the ship while undertaking a technical feasibility study, which is expected to be completed by the end of 2016.